Jun. 14, 2012 9:00 a.m. When Daniel Gandza walked out the door of his friend’s apartment following dinner and a round of video games, it was as though he vanished into thin air. After heading out between 2:30 and 3 a.m. on April 27, he reached his basement suite, located just a 15-minute walk away, near Fernwood Road and Walnut Street. Police know Gandza changed his clothes. His hiking boots and keys are gone, though his cellphone was left behind. His absence was immediately noted by his roommates and his employer; Gandza was scheduled to work the next morning. The family has put up 300 posters in parks and neighbourhoods where the commercial and residential painter frequented or lived, including Beacon Hill and Fernwood, as well as around Mount Finlayson, Mount Doug and East Sooke regional park. Victoria police detectives have reached out to police and community partners in B.C. and Alberta, exhausting six to 10 tips, including reports of possible sightings. It’s rare when detectives aren’t able to uncover signs that could explain a disappearance, such as mental illness, or a mental breakdown caused by a romantic breakup or a job loss. Of the 30 people police have interviewed, all said the same thing about the soft-spoken, generous man who enjoys gaming, skateboarding, hiking and camping. “In this case, we talked to all of Daniel’s family and friends and he was still the same way as he was a couple weeks before, the month before,” said Victoria police Det. Paul Spencelayh, one of three detectives investigating the case. Gandza didn’t have a criminal past, wasn’t a drug user, had no enemies and had never before disappeared. Cellphone, computer and banking checks have yielded no clues. Stephanie Jarymy last spoke to her younger brother by telephone on April 25 to help plan his move out of his suite a few days later. Foul play, such as a mugging gone wrong, has been ruled out by police. “Traditionally, when that happens, you either find a person stumbling out of the hospital because they have a head injury or something, or you find a body on the road,” Spencelayh said. “We’re kind of at a crossroads now where there’s not much more we can do,” he said, adding that all hopes rest either on Gandza or someone who has seen him. It’s unlikely Gandza would return to the family’s home province of Manitoba, where his mother and two other older sisters live. “I would see him staying here on the Island, if that’s what he’s doing, or he’s popped over to the mainland and continued up the coastline,” Jarymy mused. “Are there other possibilities out there? Absolutely. Could he have bonked his head and succumbed (to his injuries)? Sure. Did he end it all? Possibly. The family plans to put up more missing-person posters this summer. “We don’t want him to become a memory of ours. We want him to be part of our lives always,” Jarymy said. The longer her brother remains missing, the public will only come to remember him as the focus of a poster campaign, she said. • Daniel Gandza is described as just under six feet tall with a very slender build. He has blue-green eyes and light brown or dirty blond hair. • Anyone with information on his whereabouts is asked to call Det. 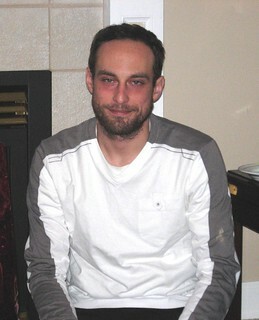 Paul Spencelayh at 250-995-7259, or Crime Stoppers at 1-800-222-8477.